Offscreen Magazine + Watsi = spreading the health! If you’re into tech, design, people, and photography, you’re going to love Offscreen Magazine. We loved it the first time we laid eyes on it, and that was before they told us they wanted their readers to fund medical care on Watsi! 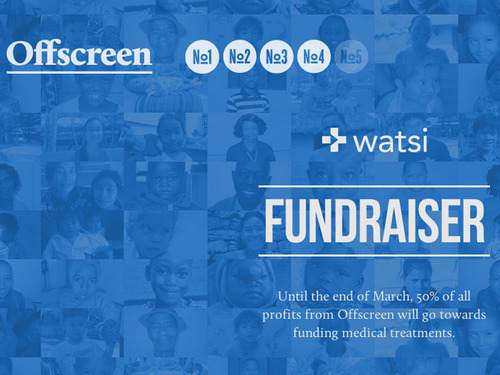 Starting today, Offscreen is donating 50% of their profits for the rest of the month to Watsi. Thanks for spreading the health with us, Offscreen!